We stayed the night in the Hotel Kinki which was located at the end of a sketchy nightlife area in Osaka. 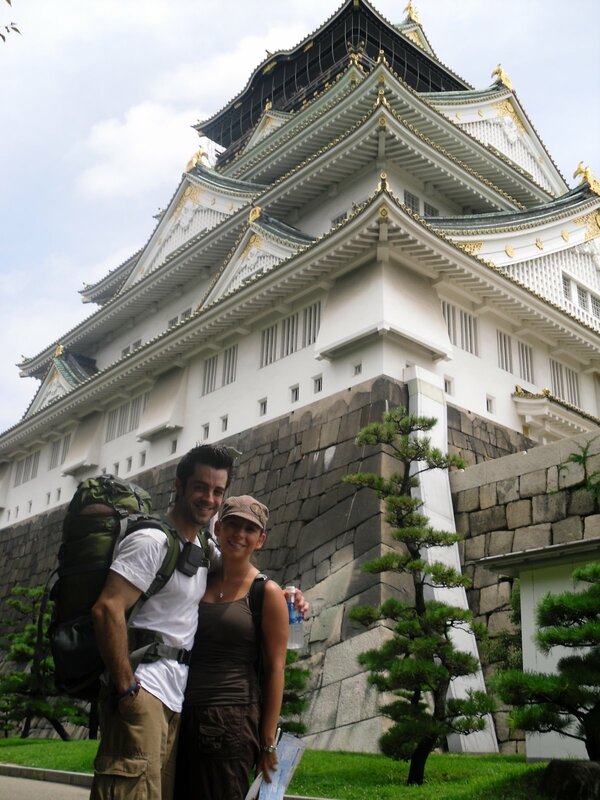 On Sunday morning we woke up early, Adam threw on the backpack and we took the local loop train to the Osaka Castle. 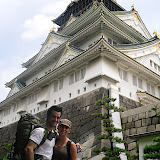 The Osaka Castle is widely known as an emblem of the power and fortune of Hideyoshi Toyotomi. After Hideyoshi’s death, Ieyasu Tokugawa, who worked for Hideyoshi as his chief retainer, was appointed to the Shogun and he established the shogunate (government) in Edo (Tokyo). In 1615, Ieyasu ruined the Toyotomi family and destroyed Osaka Castle (in the Summer War of Osaka). Osaka Castle has been popular with both domestic and overseas tourists as a historic site which has been handed down through the above-mentioned historical dramas to today.While we were walking on the grounds we were lucky enough to see a sword fighting competition. The grounds for the castle wove in an around moats and huge walls. It must have been well guarded back in the day. 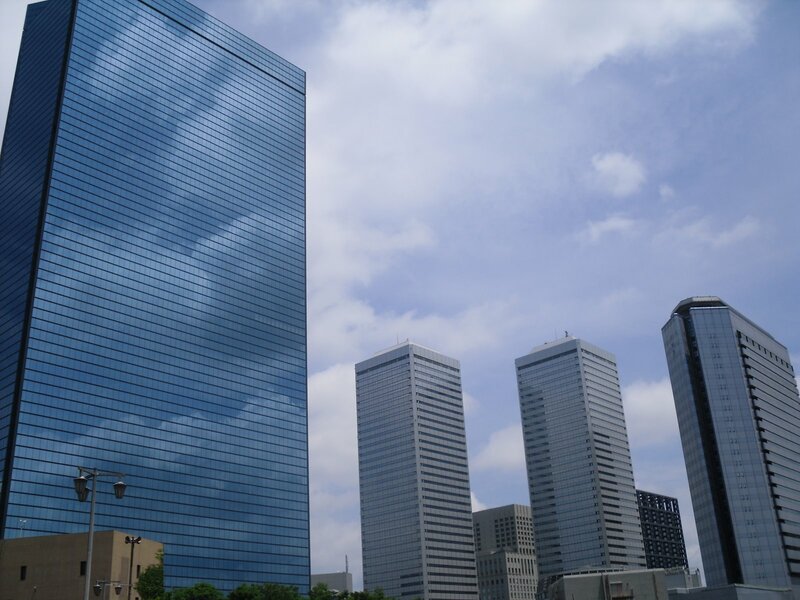 The Osaka business park was right across the street and to see the contract of old and new was beautiful. We spent the afternoon walking across all of Osaka from North to South and then catching a train at the Namba station headed toward the airport. This trip has assured us that we can do anything with a map and some clothes and a camera of course. Enjoy the pictures of Osaka and Adam will be sure to blog soon, his work hours have changed and he leaves early in the day now.